It breaks my heart EVERY. SINGLE. TIME. My stomach clenches up tight and regular things like breathing and making school lunches and buying socks at Target...just stop making sense. I made these cookies for one of the fightingest fighters I have EVER known. From Playground Pals to rec center running...this girl inspires me. So...you know... I made cookies. Because I don't have any other answers. Before baking, use the bottom corner of the snowman cutter to cut the knobby part off the right side of the cookie. Bake as you normally would. 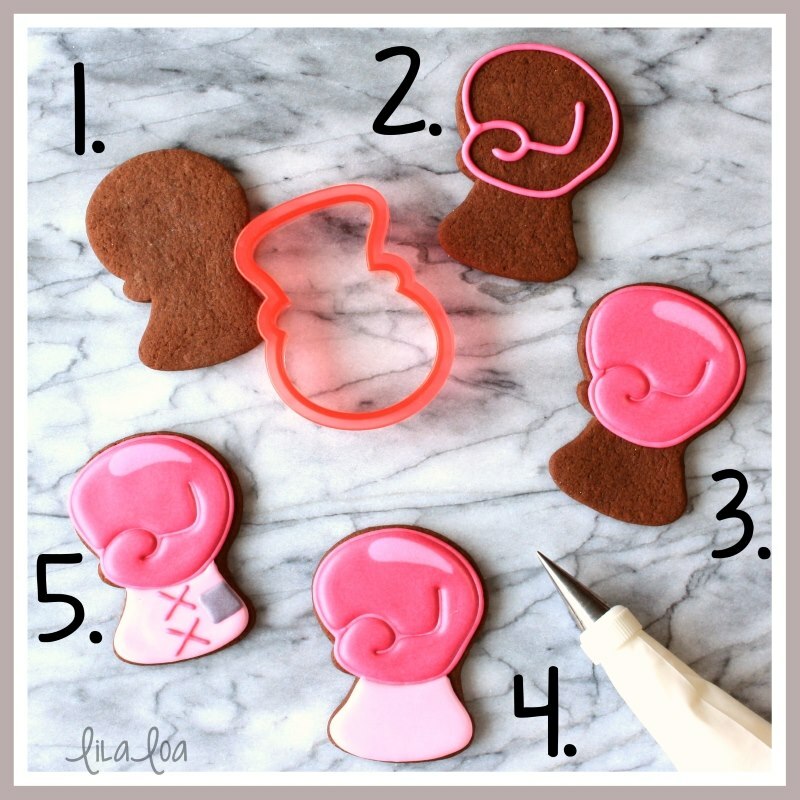 Outline the top of the boxing glove with a medium consistency pink icing and a #3 tip. I like to start with the swirly part for the thumb and pipe the outside outline before coming back and piping the backward "L" shape for the rest of the hand. Let dry for an hour. Fill in the top area with the same medium consistency pink icing. Use enough icing to give it a puffy look...but make sure to not overfill the outline. Immediately add a reflection (shine line) to the top of the glove with a medium consistency lighter pink and a #1.5 tip. Outline and fill the bottom part of the glove with a light pink icing and a #3 tip. Let dry for at least four hours. Add the cuff detail to the side of the glove with gray icing and a #1.5 tip. Pipe two "X" shapes for laces with the darker pink icing and a #1.5 tip. 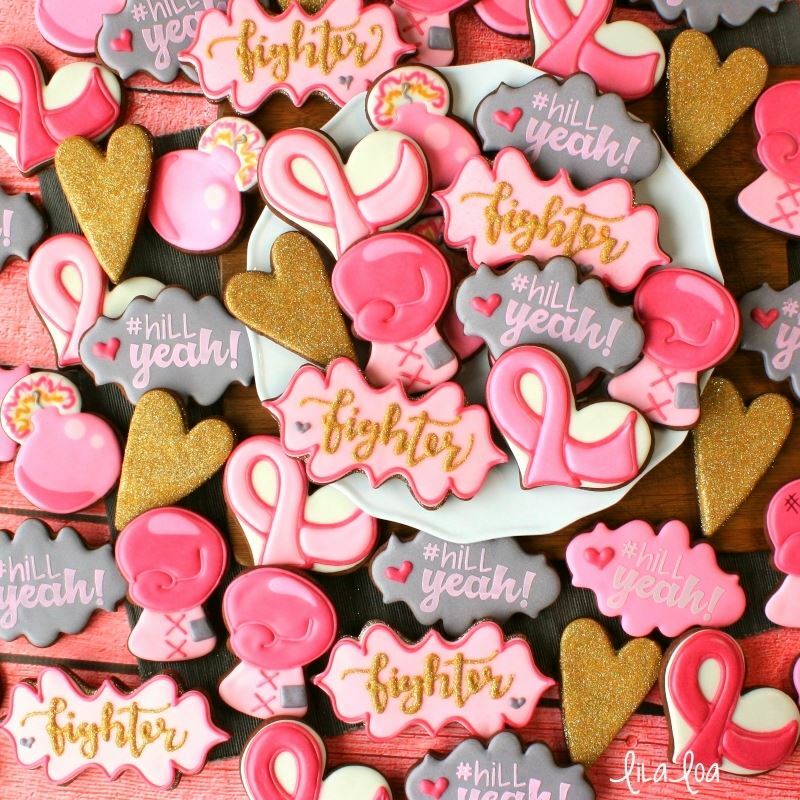 See how I made the Awareness Ribbon cookie and grab the template for your projector HERE! 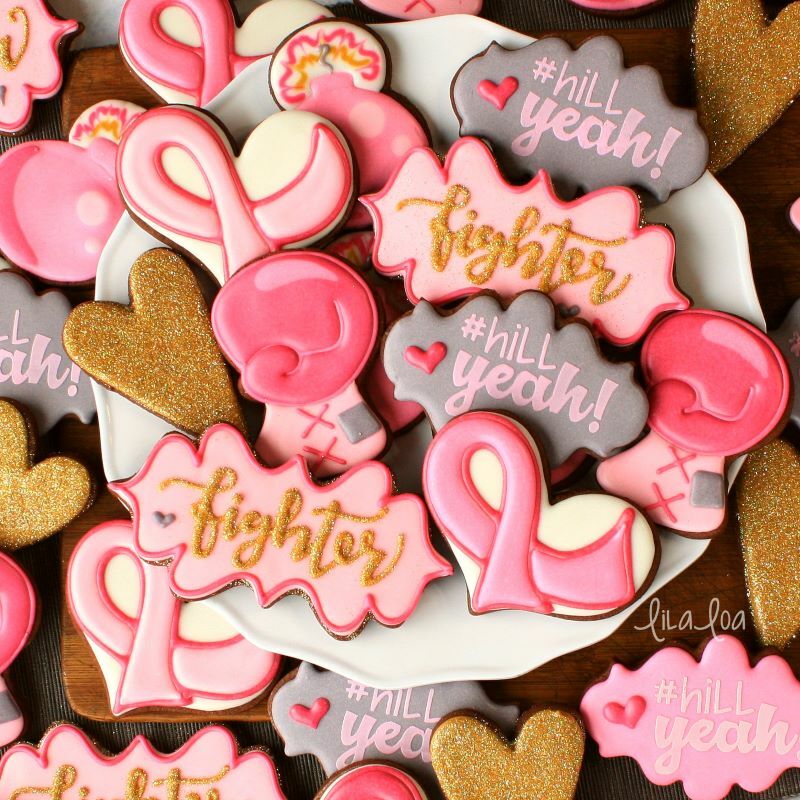 Grab the color palette and icing formulas for these breast cancer awareness cookies here.